For the first time, the World Cup finals expanded from 16 to 24 teams. This allowed more teams to participate, especially from Africa and Asia. Teams absent from the finals were 1974 and 1978 runners-up Netherlands (eliminated by Belgium and France), Mexico and the three times participants Sweden where eliminated in the qualifiers. Northern Ireland qualified for the first time since 1958. Belgium, Czechoslovakia, El Salvador, England and the Soviet Union were back in the Finals after a 12-year absence. England had its first successful World Cup qualifying campaign in 20 years – they had qualified automatically as hosts in 1966 and as defending champions in 1970, then had missed the 1974 and 1978 tournaments. Yugoslavia were also back after having missed the 1978 tournament. Algeria, Cameroon, Honduras, Kuwait and New Zealand all participated in the World Cup for the first time. As of 2018, this was the last time that El Salvador and Kuwait qualified for a FIFA World Cup finals. The 1982 competition used a unique format. The first round was a round-robin group stage containing six groups of four teams each. Two points were awarded for a win and one for a draw, with goal difference used to separate teams equal on points. The top two teams in each group advanced. In the second round, the twelve remaining teams were split into four groups of three teams each, with the winner of each group progressing to the knockout semi-final stage. The composition of the groups in the second round was predetermined before the start of the tournament. In the aggregate, Groups A and B were to include one team from each of Groups 1 through 6, and Groups C and D included the remaining six teams. The winners of Groups 1 and 3 were in Group A whilst the runners-up were in Group C. The winners of Groups 2 and 4 were in Group B whilst the runners-up were in Group D. The winner of Group 5 was in Group D whilst the runner-up was in Group B. The winner of Group 6 was in Group C whilst the runner-up was in Group A. Thus, Group A mirrored Group C, and Group B mirrored Group D with the winners and runners-up from the first round being placed into opposite groups in the second round. The second-round groups that mirrored each other (based on the first-round groupings) faced off against each other in the semifinals. Thus, the Group A winner played the Group C winner, and the Group B winner player the Group D winner. This meant that if two teams which played in the same first-round group both emerged from the second round, they would meet for the second time of the tournament in a semifinal match. It also guaranteed that the final match would feature two teams that had not previously played each other in the tournament. As it turned out, Italy and Poland who were both in Group 1 in the first round, each won their second-round groups and played each other in a semifinal match. In Group 1, newcomers Cameroon held both Poland and Italy to draws, and were denied a place in the next round on the basis of having scored fewer goals than Italy (the sides had an equal goal difference). Poland and Italy qualified over Cameroon and Peru. Italian journalists and tifosi criticised their team for their uninspired performances that managed three draws; the squad was reeling from the recent Serie A Scandal, where national players were suspended for match fixing and illegal betting. Group 2 saw one of the great World Cup upsets on the first day with the 2–1 victory of Algeria over reigning European Champions West Germany. In the final match in the group, West Germany met Austria. Algeria had already played their final group game the day before, and West Germany and Austria knew that a West German win by 1 or 2 goals would qualify them both, while a larger German victory would qualify Algeria over Austria, and a draw or an Austrian win would eliminate the Germans. After 10 minutes of all-out attack, West Germany scored through a goal by Horst Hrubesh. After the goal was scored, the two teams kicked the ball around aimlessly for the rest of the match. Chants of “Fuera, fuera” (“Out, out“) were screamed by the Spanish crowd, while angry Algerian supporters waved banknotes at the players. This performance was widely deplored, even by the German and Austrian fans. One German fan was so upset by his team’s display that he burned his German flag in disgust. Algeria protested to FIFA, who ruled that the result be allowed to stand; FIFA introduced a revised qualification system at subsequent World Cups in which the final two games in each group were played simultaneously. Group 3, where the opening ceremony and first match of the tournament took place, saw Belgium beat defending champions Argentina 1–0. The Camp Nou stadium was the home of Barcelona, and many fans had wanted to see the club’s new signing, Argentinian star Diego Maradona, who did not perform to expectations. Both Belgium and Argentina ultimately advanced at the expense of Hungary and EL Salvador despite Hungary 10-1 win over the Central American nation — which, with a total of 11 goals, is the second highest score-line in a World Cup game (equal with Brazil’s 6–5 victory over Poland in the 1938 tournament and Hungary’s 8–3 victory over West Germany in the 1954 tournament). Group 4 opened with England midfielder Bryan Robson’s goal against France after only 27 seconds of play. England won 3–1 and qualified along with France over Czechoslovakia and Kuwait, though the tiny Gulf emirate held Czechoslovakia to a 1–1 draw. In the game between Kuwait and France, with France leading 3–1, France midfielder Alain Giresse scored a goal vehemently contested by the Kuwait team, who had stopped play after hearing a piercing whistle from the stands, which they thought had come from Soviet referee Miroslav Stupar. Play had not yet resumed when Sheikh Fahad Al-Ahmed Al Jaber Al-Sabah, brother of the Kuwaiti Emir and president of the Kuwaiti Football Association, rushed onto the pitch to remonstrate with the referee. Stupar countermanded his initial decision and disallowed the goal to the fury of the French. Maxime Bossis scored another valid goal a few minutes later and France won 4–1. In Group 5, Honduras held hosts Spain to a 1–1 draw. Northern Ireland won the group outright, eliminating Yugoslavia and beating hosts Spain 1–0; Northern Ireland had to play the majority of the second half with ten men after Mal Donagy was dismissed. Spain scraped by thanks to a controversial penalty in the 2–1 victory over Yugoslavia. At 17 years and 41 days, Northern Ireland forward Norman Whiteside was the youngest player to appear in a World Cup match. Brazil were in Group 6. With Zico, Socrates, Falcao, Eder and others, they boasted an offensive firepower that promised a return to the glory days of 1970. They beat the USSR 2–1 thanks to a 20-metre Éder goal two minutes from time, then Scotland and New Zealand with four goals each. 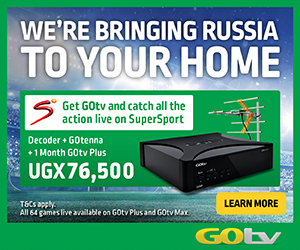 The Soviets took the group’s other qualifying berth on goal difference at the expense of the Scots. Poland opened Group A with a 3–0 defeat of Belgium thanks to a Zbigniew Boniek hat-trick. The Soviet Union prevailed 1–0 in the next match over Belgium. The Poles edged out the USSR for the semi-final spot on the final day on goal difference thanks to a 0–0 draw in a politically charged match, as Poland’s then-Communist government had imposed a martial law a few months earlier to quash internal dissent. In Group B, a match between England and West Germany ended in a goalless draw. West Germany put the pressure on England in their second match by beating Spain 2–1. The home side drew 0–0 against England, denying Ron Greenwood’s team a semi-final place and putting England in the same position as Cameroon, being eliminated without losing a game. In Group C, with Brazil, Argentina and Italy, in the opener, Italy prevailed 2–1 over Diego Maradona and Mario Kempes’s side after a game in which Italian defenders Gaetano Scirea and Claudio Gentile proved themselves equal to the task of stopping the Argentinian attack. Argentina now needed a win over Brazil on the second day, but lost 3–1 — Argentina only scoring in the last minute. Diego Maradona kicked Brazilian player Joao Batista in the groin and was sent off in the 85th minute. The match between Brazil and Italy pitted Brazil’s attack against Italy’s defense, with the majority of the game played around the Italian area, and with the Italian midfielders and defenders returning the repeated set volleys of Brazilian shooters such as Zico, Socrates and Falcao. Italian center back Gentile was assigned to mark Brazilian striker Zico, earning a yellow card and a suspension for the semi-final. 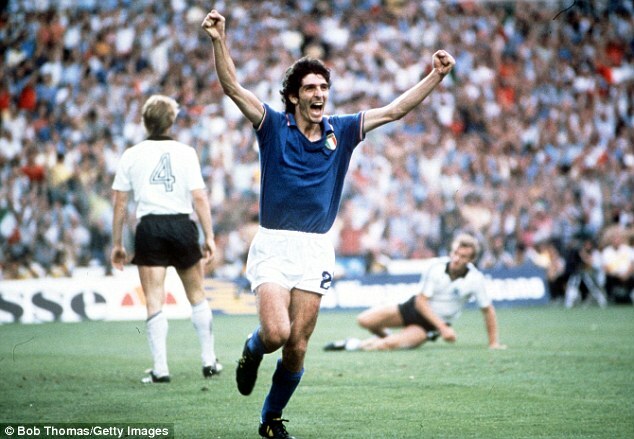 Paolo Rossi opened the scoring when he headed in Antonio Cabrini’s cross with just five minutes played. Sócrates equalised for Brazil seven minutes later. In the twenty-fifth minute Rossi stepped past Junior, intercepted a pass from Cerezo across the Brazilians’ goal, and drilled the shot home. The Brazilians threw everything in search of another equalizer, while Italy defended bravely. On 68 minutes, Falcão collected a pass from Junior and as Cerezo’s dummy run distracted three defenders, fired home from 20 yards out. Now Italy had gained the lead twice thanks to Rossi’s goals, and Brazil had come back twice; At 2–2, Brazil would have been through on goal difference, but in the 74th minute, a poor clearance from an Italian corner kick went back to the Brazilian six-yard line where Rossi and Francesco Graziani were waiting. Both aimed at the same shot, Rossi connecting to get a hat trick and sending Italy into the lead for good. In the 86th minute Giancarlo Antognoni scored an apparent fourth goal for Italy, but it was wrongly disallowed for offside. In the dying moments Dino Zoff made a miraculous save to deny Oscar a goal, ensuring that Italy advanced to the semi-final. In the last group, Group D, France dispatched Austria 1–0 with a free kick goal by Bernard Genghini, and then defeated Northern Ireland 4–1 to reach their first semi-final since 1958. 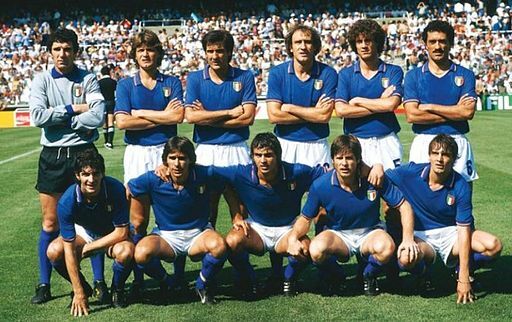 In a re-match of the encounter in the first round, Italy beat Poland in the first semi-final through two goals from Paolo Rossi. In the game between France and West Germany, the Germans opened the scoring through a Pierre Littbarki strike in the 17th minute, and the French equalised nine minutes later with a Michel Platini penalty. In the second half a long through ball sent French defender Patrick Battiston racing clear towards the German goal. With both Battiston and the lone German defender trying to be the first to reach the ball, Battiston flicked it past German keeper Harald Schumacher from the edge of the German penalty area and Schumacher reacted by jumping up to block. Schumacher didn’t seem to go for the ball, however, and clattered straight into the oncoming Battiston – which left the French player unconscious and knocked two of his teeth out. Schumacher’s action has been described as “one of history’s most shocking fouls”. The ball went just wide of the post and Dutch referee Charles Corver deemed Schumacher’s tackle on Battiston not to be a foul and awarded a goal kick. Play was interrupted for several minutes while Battiston, still unconscious and with a broken jaw, was carried off the field on a stretcher. After French defender Manuel Amoros had sent a 25-metre drive crashing onto the West German crossbar in the final minute, the match went into extra time. On 92 minutes, France’s sweeper Marius Tresor fired a swerving volley under Schumacher’s crossbar from ten metres out to make it 2–1. Six minutes later, an unmarked Alain Giresse drove in an 18-metre shot off the inside of the right post to finish off a counter-attack and put France up 3–1. But West Germany would not give up. In the 102nd minute a counter-attack culminated in a cross that recent substitute Karl-Heinz Rummenigge turned in at the near post from a difficult angle with the outside of his foot, reducing France’s lead to 3–2. Then in the 108th minute Germany took a short corner and after France failed to clear, the ball was played by Germany to Littbarski whose cross to Horst Hrubesch was headed back to the centre towards Klaus Fischer, who was unmarked but with his back to goal. Fischer in turn volleyed the ball past French keeper Jean-Luc Ettori with ab bicycle kick, levelling the scores at 3–3. The match went to penalties, with France and West Germany participating in the first ever penalty at a World Cup finals. Giresse, Manfred Kaltz, Manuel Amoros, Paul Breitner and Dominique Rocheteau all converted penalties until Uli Stielike was stopped by Ettori, giving France the advantage. But then Schumacher stepped forward, lifted the tearful Stielike from the ground, and saved Didier Six’s shot. With Germany handed the lifeline they needed Littbarski converted his penalty, followed by Platini for France, and then Rummenigge for Germany as the tension mounted. France defender Maxime Bossis then had his kick parried by Schumacher who anticipated it, and Hrubesch stepped up to score and send Germany to the World Cup final yet again with a victory on penalties, 5–4. In the third-place match, Poland edged the French side 3–2 which matched Poland’s best ever performance at a World Cup previously achieved in 1974. France would go on to win the European Championship two years later. In the final, Antonio Cabrini fired a penalty wide of goal in the first half. In the second half, Paolo Rossi scored first for the third straight game by heading home Gentile’s bouncing cross at close range. Exploiting the situation, Italy scored twice more on quick counter-strikes, all the while capitalising on their defence to hold the Germans. With Gentile and Gaetano Scirea holding the centre, the Italian strikers were free to counter-punch the weakened German defence. Marco Tardelli’s shot from the edge of the area beat Schumacher first, and Alessandro Altobelli, the substitute for injured striker Francesco Graziani, made it 3–0 at the end of a solo sprint down the right side by the stand-out winger Bruno Conti. Italy’s lead appeared secure, encouraging Italian president Sandro Pertini to wag his finger at the cameras in a playful “not going to catch us now” gesture. In the 83rd minute, Paul Breitner scored for West Germany, but it was only a consolation goal as Italy won 3–1 to claim their first World Cup title in 44 years, and their third in total. 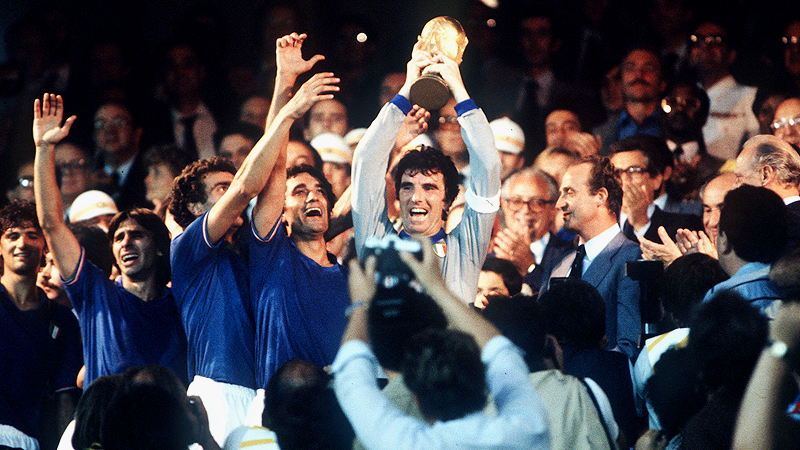 Paolo Rossi received the Golden Boot for scoring six goals. In total, 146 goals were scored by 100 different players, with only one of them credited as own goal.